DOOMED AMERICAN CHINA FANTASY – THE COLD WAR IN ASIA 1949 TO 2017. 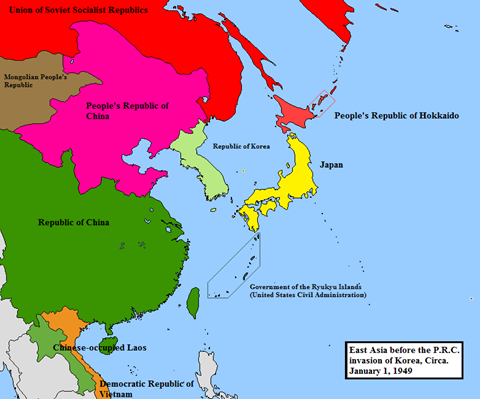 THE SPREAD OF COMMUNISM IN ASIA. 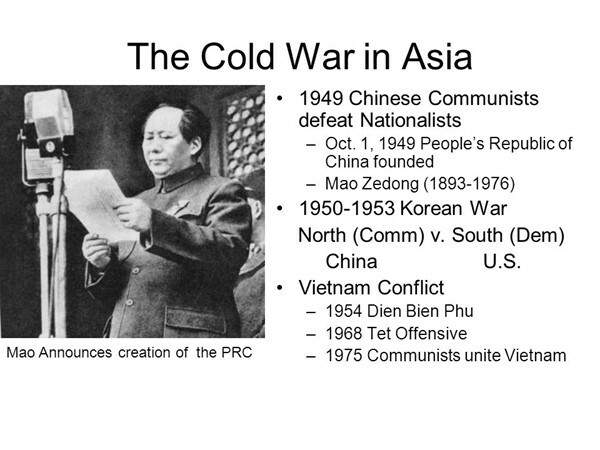 The Cold War in Asia is the product of Communism that spread from Europe to Asia. 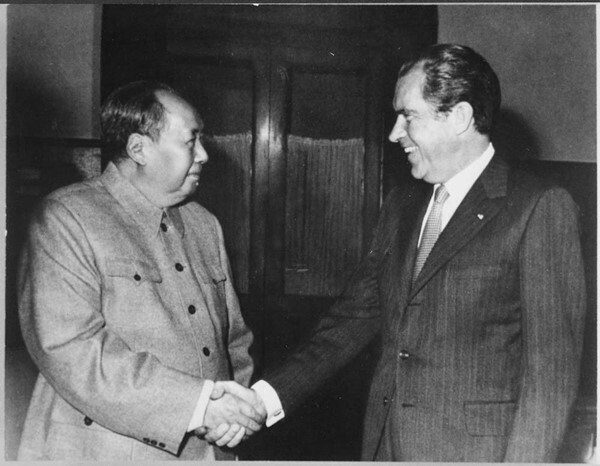 Nixon-Kissinger in 1971-72 initiated Policy of Doomed American China Fantasy without concern for lessons learned in Korean Peninsula and Vietnam. 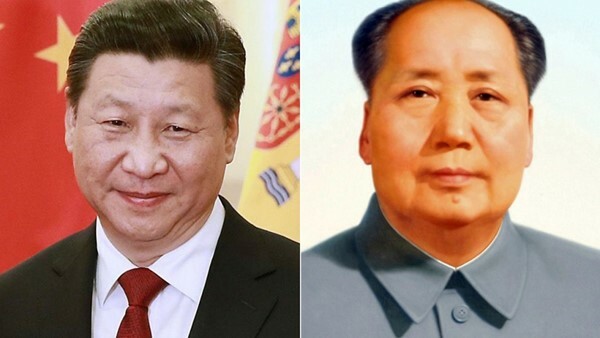 There is no hope and there is no future for America’s China Fantasy as Communist Party in China survives unchanged and unaffected by changing fortunes of the US Political Parties. Doomed American China Fantasy – The Cold War in Asia 1949 to 2017. Doomed American China Fantasy – The Cold War in Asia 1949 to 2017. President Nixon’s Doomed Journey to Peking in February 1972. America has been operating with the wrong paradigm for China. Day after day, U.S. officials carry out policies based upon premises about China’s future that are at best questionable and at worst downright false. The mistake lies in the very assumption that political change — and with it, eventually, democracy — is coming to China, that China’s political system is destined for far-reaching liberalization. Yet the Bush administration hasn’t thought much about what it might mean for the United States and the rest of the world to have a repressive one-party state in China three decades from now. For while China will certainly be a richer and more powerful country in 30 years, it could still be an autocracy of one form or another. Its leadership (the Communist Party, or whatever else it calls itself in the future) may not be willing to tolerate organized political opposition any more than it does today. That is a prospect with profound implications for the United States and the rest of the world. And it is a prospect that our current paradigm of an inevitably changing China cannot seem to envision. The notion of a China on the road to political liberalization has taken hold in the United States because it has served certain specific interests within American society. At first, in the late 1970s and the 1980s, this idea benefited the U.S. national-security establishment. 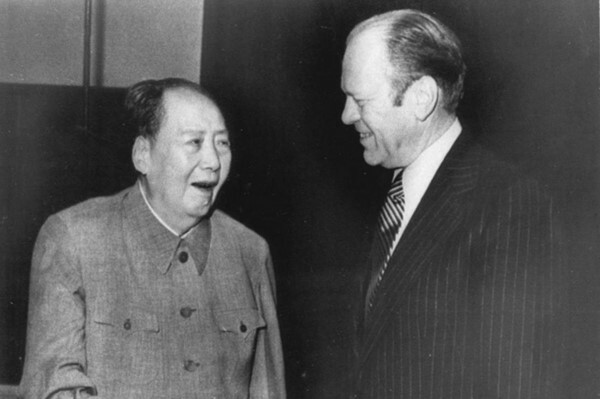 At the time, the United States was seeking close cooperation with China against the Soviet Union, so that the Soviet Union would have to worry simultaneously about both countries; the Pentagon wanted to make sure the Soviet Union tied down large numbers of troops along the Sino-Soviet border that might otherwise have been deployed in Europe. Amid the ideological struggles of the Cold War, though, cooperation with China’s Communist regime was politically touchy in Washington. And so the notion that China was in the process of opening up its political system helped smooth the way with Congress and the American public. In the 1990s, after the Soviet collapse, the idea of a politically changing China attracted a new constituency, one even more powerful than the Pentagon: the business community. As trade and investment in China became ever more important, American companies found themselves repeatedly beset with questions about why they were doing business with such a repressive regime. The paradigm of inevitable change offered multinational corporations the answer they needed. Not only was China destined to open up its political system, but trade, the theology held, would be the key that would unlock the door. It would lead to political liberalization and to democracy, with or without the support of the Chinese leadership. Accordingly, no one outside China needs to do anything, or even think much about the subject. Why bother to protest a crackdown or urge China to allow political opposition if you know that democracy, by the inexorable laws of history, is coming anyway? The trouble is, the entire paradigm may turn out to be wrong. This strategy of integration dates back to the Clinton administration. In 1994, President Clinton abandoned his attempt to use trade as a lever for improving human rights in China, then needed to divert attention away from this embarrassing reversal. He did not wish to concede that that he had just downgraded the cause of human rights in China; instead, he sought a new, positive-sounding description of his policy. “Integration” gradually became the label of choice, invoked by the president and his top advisers in press conference after press conference. Integration became, above all, the justification for unrestricted trade with China. “We believe it’s the best way to integrate China further into the family of nations and to secure our interests and our ideals,” declared Clinton in one typical speech. George W. Bush and his advisers, without ever admitting they were doing so, have perpetuated most of the essentials of Clinton’s China policy, including the avowed commitment to integration. When Secretary of State Condoleezza Rice gives a speech about China, she sooner or later calls for integrating China into the international community. “Integration” has thus become another catchphrase like “engagement,” the earlier slogan for America’s China policy, which originated somewhat earlier, during the administration of George Bush Senior. With both words, however, the suggestion is the same: that is, with enough engagement, with sufficiently vigorous integration, the United States may succeed in altering the nature of the Chinese regime — although it is not clear exactly how this is supposed to happen. In a way, the American approach is a bit patronizing to China: It sounds as if the United States is a weary, experienced trainer bringing China to a diplomatic version of obedience school. The fundamental problem with this strategy of integration is that it raises the obvious question: Who’s integrating whom? Is the United States now integrating China into a new international economic order based upon free-market principles? Or is China now integrating the United States into a new international political order where democracy is no longer favored, and where a government’s continuing eradication of all organized political opposition is accepted or ignored? This is not merely a government issue. Private companies — including Internet firms like Yahoo, Google, and Microsoft — often use slogans like “engagement” and “integration” to explain why they have decided to do business in China despite Chinese rules and laws that allow continuing censorship. “I think [the Internet] is contributing to Chinese political engagement,” Bill Gates told one business gathering. Yet if Microsoft is altering its rules to accommodate China, once again the question is: Who’s changing whom? Will it have been a success for the U.S. policy of integration if, 30 years from now, the world ends up with a Chinese regime that is still a deeply repressive one-party state but is nevertheless a member of the international community in good standing? If so, that same China will serve as a model for dictators, juntas, and other undemocratic governments throughout the world — and in all likelihood, it will be a leading supporter of these regimes. Pick a dictator anywhere today and you’ll likely find that the Chinese regime is supporting him. It has rewarded Robert Mugabe, the thug who rules Zimbabwe, with an honorary professorship, and his regime with economic aid and, reportedly, new surveillance equipment. It has been the principal backer of the military regime in Burma. And when Uzbek President Islam Karimov ordered a murderous crackdown on demonstrators in 2005, China rushed to defend him. If China maintains its current political system over the next 30 years, then its resolute hostility to democracy will have an impact in places like Egypt, Syria, and Saudi Arabia. A permanently authoritarian China could also undermine Russia’s already diminishing commitment to democracy. Thus, when America’s leading officials and CEOs speak so breezily of integrating China into the international community, listeners should ask: If China remains unchanged, what sort of international community will that be? Will it favor the right to dissent? Will it protect freedom of expression? Or will it simply protect free trade and the right to invest? But wait, say the defenders of America’s existing China policy. We believe in democracy, too. There is no real disagreement here on our ultimate goals. This is all just a question of tactics. The strategy of integration (or of engagement) is designed to change China’s political system and, over the long term, to end China’s one-party state. These arguments sound in some ways similar to claims made by the Chinese regime itself. Because Chinese Communist Party leaders don’t like to acknowledge that they intend to maintain their monopoly on power, they sometimes tell visitors that they, too, believe in democracy, that this is the ultimate goal for China, and that it is all merely a question of timing. These claims are designed for the hopelessly gullible; by its actions, day after day, the regime makes clear its tenacious hostility to the idea of political pluralism in China. Generally, the U.S. proponents of a strategy of integration are not so cynical. To be sure, a few of them may be antidemocratic; there have always been Americans who admire, even revere, the simplicity and convenience of autocracy. 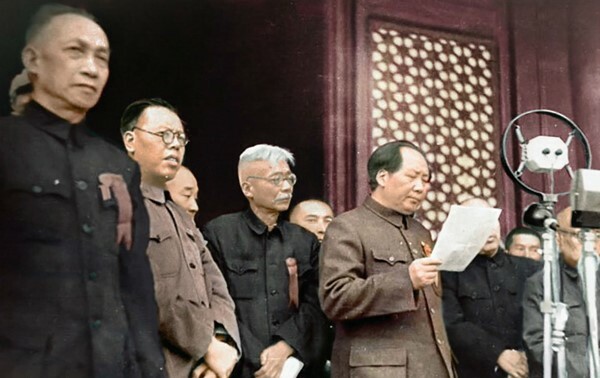 However, other proponents of integration seem to believe quite sincerely that if the United States continues its current approach toward China, Chinese leaders eventually will be willing to abandon the monopoly on political power they have maintained since 1949. Yet these same proponents fail to explain how or why, given the current U.S. strategy, China’s political system will change. The examples of reforms that they have invoked so far have served to divert attention away from the core issue of China’s one-party state. The promotion of village elections has proved to be largely unsuccessful, both because the Chinese leadership can confine this experiment exclusively to the villages and because in the villages themselves, authorities have resorted to a variety of methods, including the use of violence, to forestall democracy. Nor is there evidence that the American promotion of the rule of law will by itself transform the political system. So long as there is no independent judiciary and China remains a one-party regime in which judges are selected by the Communist Party, promoting the rule of law won’t bring about fundamental change. Instead, it simply may lead to a more thoroughly legalized system of repression. Indeed, those lawyers in China who attempt to use the judicial system to challenge the Communist Party or to defend the rights of political dissidents have themselves been subject to persecution, including the loss of their jobs or even time in prison. The strongest impetus for establishing the rule of law comes from the corporations and investors who are putting their money into China. They need bona fide procedures for resolving financial disputes, just as companies and investors require everywhere else in the world. It is in the interest of the Chinese regime to keep the investment dollars, euros, and yen flowing into the country, and so Chinese officials are willing to establish some judicial procedures for the foreign companies. However, the result could well be a Chinese legal system that offers special protection for foreign investors but not to ordinary Chinese individuals, much less to targets of the regime such as political dissidents or Tibetan activists. And that raises the larger question about America’s current strategy of integration: Whom does it benefit? Above all, it enriches the elites in both China and the United States. The strategy is good for the American business community, which gets to trade with China and invest in China, and for the new class emerging in Chinese cities — the managers and entrepreneurs, many of them former party cadres or the relatives of cadres — that is getting rich from the booming trade and investment in its country. But it has not been nearly so beneficial for working-class Americans — particularly the tens of thousands who have lost their jobs in the United States as the end result of this “integration” policy. The American people were told many years ago that bringing China into the international economic system would help change the Chinese political system. Now, American workers may well wonder whether this argument was merely a cruel hoax. Nor has the strategy of integration been such a blessing for ordinary Chinese. To be sure, China as a whole is more prosperous than it has ever been, but this new prosperity is enjoyed mostly by the urban middle class, not by the country’s overworked, underpaid factory laborers or by the hundreds of millions of peasants in the countryside. Indeed, it is precisely because the regime knows how restive and disenchanted the Chinese people are that it refuses to open up to any form of democracy. The Chinese leaders know that they could be thrown out of office if there were free and open elections. Democracy, or even an organization calling for future democracy, is a threat to the existing political and economic order in China. That is why the regime continues to repress all forms of organized dissent and political opposition. It is also why China’s new class of managers and executives, who profit from keeping wages low, support the regime in its ongoing repression. Once people are eating at McDonald’s or wearing clothes from The Gap, American writers rush to proclaim that these people are becoming like us, and that their political system is therefore becoming like ours. But will the newly enriched, Starbucks-sipping, condo-buying, car-driving denizens of China’s largest cities in fact become the vanguard for democracy in China? Or is it possible that China’s middle-class elite will either fail to embrace calls for a democratic China or turn out to be a driving force in opposition to democracy? China’s emerging urban middle class, after all, is merely a small proportion of the country’s overall population — far smaller than its counterparts in Taiwan or South Korea. There are an estimated 800 million to 900 million Chinese peasants — most of them living in rural areas, although 100 million or more are working or trying to find jobs as migrants on the margins of Chinese cities. If China were to have nationwide elections, and if peasants were to vote their own interests, then the urban middle class would lose. The margin would not be close. On an electoral map of China, the biggest cities — Shanghai, Beijing, Tianjin, Guangzhou, and the others — might look something like the small gold stars on the Chinese flag: They would be surrounded by a sea of red. Add together the populations of China’s 10 largest cities and you get a total of some 62 million people. That number is larger than the population of France or Britain or Italy. But it is still only about 5 percent of China’s overall population of 1.3 billion. If you are a multinational company trying to sell consumer products, then the rapid rise in spendable income in China’s largest cities is of staggering importance. When it comes to any national elections, however, that new Chinese middle class is merely a drop in the bucket. Those in China’s urban avant-garde have every reason to fear that they would be outvoted. China’s urban residents have an even greater reason to fear democracy: The Communist Party has not exactly been evenhanded in its treatment of urban residents vis-à-vis peasants. On the contrary: Its policies have strongly favored the cities over the countryside. This is why there has been a wave of protests in the countryside, arising out of land seizures, local taxes, disputes over village elections, and similar controversies. It is also why the Chinese regime has been, in recent years, particularly fearful of mass movements that might sweep through the countryside and undermine the Communist Party’s control. Looking at Falun Gong, the quasi-religious movement that began to take hold during the 1990s, the Chinese leadership was haunted by a specter from the past: the Taiping Rebellion, which swept out of middle China in the 19th century and shook the Qing Dynasty to its foundations. What lies behind the Chinese Communist Party’s monopoly on power and its continuing repression of dissent? The answer usually offered is the Communist Party itself — that the party and its more than 70 million members are clinging to their own power and privileges. This is certainly part of the answer, but not all of it. As China’s economy has thrived in recent years, strong economic and social forces have also emerged in Chinese society that will seek to protect the existing order and their own economic interests. The new middle class in Chinese cities is coming to favor the status quo nearly as much as does the Communist Party itself. Why do we assume that what follows the Chinese Communist Party’s eventual fall will necessarily be political liberalization or democracy? One can envision other possibilities. Suppose, for example, that the party proves over the next decade to be no better at combating the country’s endemic corruption than it has been over the past decade. Public revulsion over this corruption reaches the point where the Chinese people take to the streets; leaders find they cannot depend on troops to quell these demonstrations; the Communist Party finally gives way. Even then, would the result be Chinese democracy? Not necessarily. China’s urban middle class might choose to align itself with the military and the security apparatus to support some other form of authoritarian regime, arguing that it is necessary to do so in order to keep the economy running. The underlying premise of the U.S. integration strategy is that we can put off the question of Chinese democracy. But two or three decades from now, it may be too late. By then, China will be wealthier, and the entrenched interests opposing democracy will probably be much stronger. By then, China will be so thoroughly integrated into the world financial and diplomatic systems that, because of the country’s sheer commercial power, there will be no international support for any movement to open up China’s political system. What should the United States do to encourage democratic change in China? A detailed list of policies can emerge only after we first rid ourselves of the delusions and the false assumptions upon which our China policy has long been based. Above all, we have to stop taking it for granted that China is heading inevitably for political liberalization and democracy. President Bush has continued to repeat the American mantra about China, every bit as much as did his predecessors. “As China reforms its economy, its leaders are finding that once the door to freedom is opened even a crack, it cannot be closed,” Bush declared in one typical speech. Such words convey a heartwarming sense of hopefulness about China, but they do not match the reality of China itself, where doors are regularly opened by more than a crack and then closed again. America’s political and corporate leaders also need to stop spreading the lie that trade will bring an end to China’s one-party political system. This fiction has been skillfully employed, over and over again, to help win the support of Congress and the American public for approval of trade with China. Trade is trade; its benefits and costs are in the economic sphere. It is not a magic political potion for democracy, nor has it brought an end to political repression or to the Chinese Communist Party’s monopoly on power, and there is not the slightest reason to think it will do so in the future. In fact, it is possible that our trade with China is merely helping the autocratic regime to become richer and more powerful. America’s current China policy amounts to an unstated bargain: We have abandoned any serious attempt to challenge China’s one-party state, and in exchange we have gotten the right to unfettered commerce with China. What we need now, above all, are political leaders who are willing to challenge America’s stale logic and phraseology concerning China. We need politicians who will call attention to the fact that America has been carrying out a policy that benefits U.S. and Chinese business interests far more than it helps ordinary working people in either country. The reexamination should apply to both U.S. political parties and to both poles of the ideological spectrum. On the Democratic left, we need people who will question the assumptions that it is somehow “progressive” to say that democracy doesn’t matter or that it will automatically come to China some day. Such views aren’t in the least bit progressive, liberal, or enlightened. Rather, they were developed by the Clinton administration to justify policies that would enable Bill Clinton to win corporate support. During the 1990s, there were other views concerning China within the Democratic Party — those of Nancy Pelosi, for example, and George Mitchell, who took strong stands on behalf of human rights in China. The Democrats rejected those alternative approaches a decade ago. They would do well to reexamine them now. Within the Republican Party, we need political leaders willing to challenge the Business Roundtable mentality that has dominated the party’s thinking on China for so long. If Republicans really care about political freedom, then why should they allow U.S. policy toward China to be dominated by corporate interests while the world’s most populous country is governed by a single party that permits no political opposition? President Bush has been able to conceal his business-oriented approach to China behind a facade of hawkish rhetoric. Republicans should not allow this to happen again. Once the United States finally recognizes that China is not moving inevitably toward democracy, we can begin to decide what the right approach should be. On the one hand, it’s possible that America may seek new measures to goad the Chinese leadership toward democratic change. America also might want to reconsider its doctrinaire adherence to free trade in dealing with China. On the other hand, it’s possible that the American people may decide that there’s absolutely nothing that the United States can or should do about a huge, permanently undemocratic, enduringly repressive China. Such an entity, a Chinese autocracy persisting into the mid-21st century, would cause large problems for U.S. policy elsewhere in the world. Nevertheless, after weighing the costs and benefits of trying to push for democracy in China, the United States could opt for a policy of sheer acceptance of the existing order. The American people are not being given such options now, however, because the choices are not being laid out. American politicians of both parties talk regularly as if liberalization and democracy are on the way in China. But what if China remains an autocracy? At the moment, that possibility seems to be outside our public discourse. We need to change that in order to figure out what we want to do. It would be heartening if China’s leaders proceed along the lines that America’s political leaders predict. It would be wonderful if China opens up, either gradually or suddenly, to a new political system in which the country’s 1.3 billion people are given a chance to choose their own leaders. While wishing for such an outcome, however, I will not hold my breath. James Mann, from whose new book, The China Fantasy, this article is adapted, is author-in-residence at Johns Hopkins University’s School of Advanced International Studies. Doomed American China Fantasy – The Cold War in Asia 1949 to 2017. Doomed Presidency of Gerald R. Ford. Doomed American Fantasy – The Cold War in Asia 1949 to 2017. 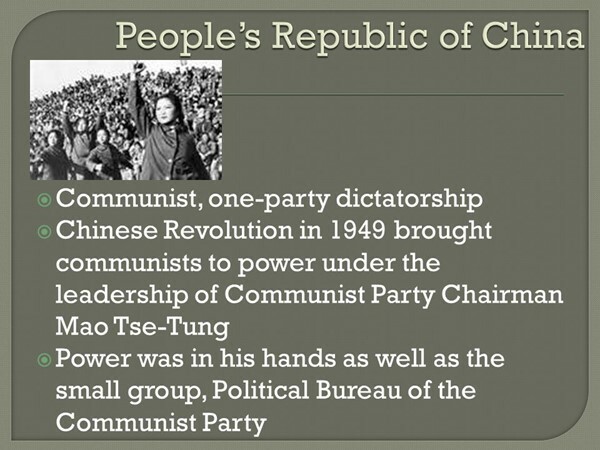 Communist Party of People’s Republic of China remains unaffected and unchanged by changing fortunes of the US Political Parties.